You as a player should have a certain, set criteria in place when selecting an online casino to weigh the quality of each. It is important to keep in mind that there are many types of casinos, most are reputable and honest, but there are some out there that are not. When going to a casino for the first time, inquire to see what software they offer and familiarize yourself with it. There are many types of casino software available, the most popular being Microgaming, Playtech, Real Time Gaming and Cryptologic. 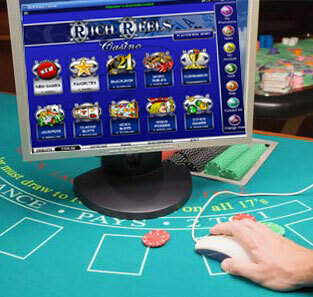 Below are some guidelines to help you find the best online casino for you. Review each of the following and compare them with each other to determine exactly what it is that you want in an online casino. Look for a casino that offers games that play smoothly, and that have quality sound and graphics. If the games are extremely slow to play, or play in very jerky movements, move on. There are better casinos out there. A good casino will at least offer the most popular games, an average of 100 or more games should be expected. The majority will almost always be slots; however, you will want to make sure that you have the options and variations of blackjack and other table games as well. Before you go to the trouble of registering at a casino, always be sure that they deposit and withdrawal options include one or more that you can use with ease. Many credit cards are disallowed at online casinos, and the reputable casinos will offer you alternate ways to fund your account. Also make sure you can play in your own currency. Customer service is one of the most important services a casino can offer so you want to be certain you have access to someone 24/7 in case of problems. Look for email, phone, phone back or live chat on the casino website. Would you like to learn more? I suggest that you take a look at this basic online gambling guide at casinodave.com. Online casinos give you bonuses and promotions in several forms. First is the no deposit bonus. With this bonus, you can claim the free money basically to try out the casino at their expense. There are requirements to claiming this bonus and they may vary from casino to casino. One of the main requirements is that you register a credit card or alternate deposit option. This is to insure the casino that you are a serious player, not a bonus hunter who just collects the free money from as many casinos as possible and then never deposits. There are also wagering requirements that casinos impose on this type of bonus. Usually it is that you wager the bonus anywhere from 20 times, up to 60 times and in some cases more. You can play certain games with these bonuses as well, the lower risk games being disqualified from meeting the wagering requirements. Examples of the games not allowed are Blackjack, Baccarat, Roulette, Craps. The next type of bonus offer is the percentage or purchase bonus. The amount is set by the casino, and normally it will be at least 50% and can go up to several hundred percent. This does extend your play time, giving you a greater chance of winning, and the wagering requirements are not usually as stringent as they are with no deposit bonuses. Always, read the terms and conditions before accepting any bonus. Before attempting to cash out on a bonus, contact the casino customer support to verify that all conditions have been met. This will help the withdrawal process go much smoother. A match bonus will double your deposit with restrictions on the amount you can claim. For instance, a casino may offer a 100% match bonus up to $150.00. What this means to you is that you can claim up to $150.00 as long as you deposit at least $150.00. If you would like some examples of good casino bonuses that are worth accepting, take a look at the bonuses listed at casinodave.com.